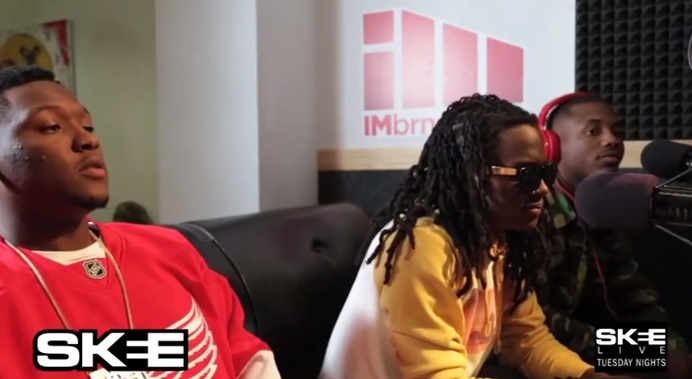 Producer Hit-boy and Rap duo Audio Push catch up with DJ Skee for a candid interview to fill listeners in on everything they currently have in the works and more. Audio Push members Oktane and Pricetag give insight behind their new album Come As You Are and share their motivation for making it available to fans for completely free. Hit-Boy explains how the long-time affiliates eventually signed with his Hits Since ’87 imprint and details what it was like to win a GRAMMY for his work on JAY Z and Kanye West’s breakout song “Niggas In Paris.” Kendrick Lamar and the current state of West Coast Hip Hop also served as the topic of discussion but not before Hit-Boy reveals he’s currently collaborating with several big name artists and in the early stages of his upcoming album. Vice catches up with Caroline D’Amore to fill listeners in on his recent name change and his new business venture. The former Power 106 DJ gives insight behind his reasoning for dropping the “DJ” in his name which he clarifies he’s been associated with since the age of 12. With a current residency at mega-club Tao in Las Vegas, Vice breaks down his on-going transition as an entrepreneur and explains the motivation behind opening his own sneaker boutique. Vice also touches on being inspired as a kid by the footwear worn by some of his favorite Hip Hop artists, choosing his alias out of a dictionary and shares details with D’Amore on Heartbeatz Radio about his worst show ever. T.I. 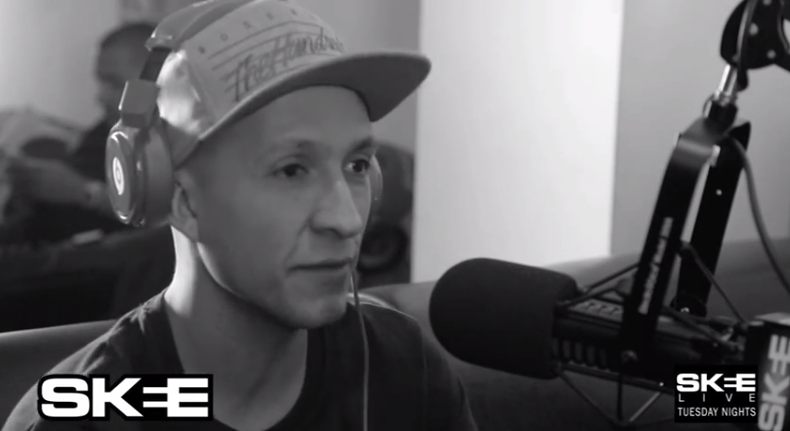 sits down with DJ Skee and shares details on his current passion for developing new talent like Trae The Truth, Iggy Azalea, Mars and more. 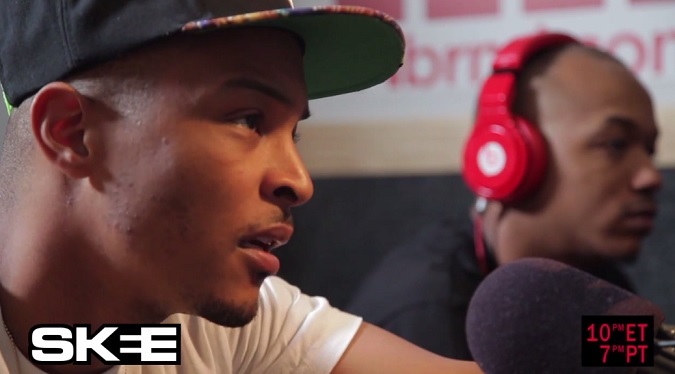 In fact, T.I. takes the opportunity to speak highly of rapper Problem and shares his business aspirations for bringing the California native’s Diamond Lane imprint over to Hustle Gang. The reality TV star touched on the evolution of West Coast Hip Hop and explained why at this stage in his career he’s chosen to embrace a more executive role in music. Leave a comment Posted in In The Studio, Interview, Video Tagged 1500 or nothin, diamond lane, Dj Skee, executive, hip hop, hustle gang, Interview, mars, rap, rapper problem, Skee 247, T.I. Caroline D’amore invites The Wailers lead singer Elan Atias onto Hearbeatz Radio for a one-on-one interview live on the air. Atias tackles what it likes to fill Bob Marley’s shoes and gives insight behind how he found himself in his current position after a chance run-in with guitarist Al Anderson. The singer also touches on the public’s misconception that he’s one of Bob Marley’s sons, transitioning as an artist between different genres of music and what it was like collaborating with Snoop Lion on his recent Reincarnated LP. Before heading out, Atias stresses to listeners and D’amore that it’s important to remember to remain creative and fearless in whatever you do. Packed with tons of features, DJ Skee announces the launch of his acclaimed SKEE App for Android users. Now available for free download via the Google Play store, the multi platform application is designed to deliver more than just a digital radio option but a premium experience for users to easily access exclusive content. 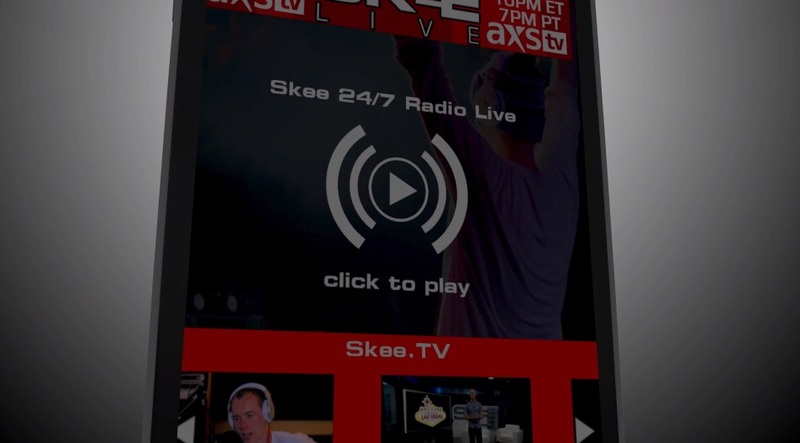 Live from the set of his new AXS TV showSKEE Live, DJ Skee takes a moment to give viewers a brief tutorial on the app’s unique features and how to get the most out of it. On the opening welcome screen, users are greeted with banners that keep you up-to-date on current news in the world of DJ Skee. A convenient shortcut button also provides quick access to tune right into the Skee 24/7 Radio live stream. At the bottom of the home screen, a revolving playlist gives listeners continuous information on the songs curated by DJ Skee for Skee 24/7 Radio. By clicking on the upper menu bar located in the top left corner of the welcome screen, different categories are unlocked and unleash the applications full potential. Divided into six categories, users can either initiate Skee 24/7 Radio Live streaming, Skee 24/7 On Demand, Skee.TV, Mixtapes and Music, #SKEELOCKER or the official DJSkee.comhomepage. Serving as the application’s flagship feature, DJ Skee highlights his radio station’s non-stop streaming of the latest and greatest in music. Skee 24/7 streaming prides itself on delivering unfiltered radio free of genres, censorship, advertisements and playing only hottest songs from the best DJ’s in the world. Considered the first “DVR for radio,” Skee breaks down this convenient option which allows users to make an audio selection from any of their favorites and listen from a digital archive. Skee 24/7 On Demand makes it easy to access shows like DJ Skee’s Skeemix’s, Banned Radio with Trae The Truth and Tony Rock, C.O.B. Radio with Crooked I, Heartbeatz radio with Caroline D’Amore and more. With the innovative on demand feature, listeners have the freedom to easily skim through multiple selections and play, pause, and catch up on anything they may have missed out on. The Skee.TV option showcases all new and past visuals separated into easy to navigate sub categories ranging from Boost Mobile’s Be Heard Sessions, live performances, #SKEELOCKER episodes, exclusive videos, behind the scenes material and more up-to-date content. This section of the app is where all the music enthusiasts are going to want to take notice of as it boasts all of DJ Skee’s past and present collaborative projects with the likes of JAY Z, The Game, R. Kelly, Snoop Dogg, Nipsey Hussle, Freddie Gibbs and more for completely free. Users have the ability to stream mixtapes in their entirety or make individual selections and create a custom playlist. By simply choosing a song and holding down their selection for three seconds, a prompt will appear and allow them to download the track which can be retrieved at a later time. The layout of the Mixtapes and Music section is easy to navigate and also aesthetically pleasing as it features full graphic artwork for each project. The final category the application has to offer is the popular #SKEELOCKER. Under this section, sneaker heads can check out some of DJ Skee’s favorites from his personal shoe collection as he highlights a different pair for each day of the year. Follow along with Skee to see some of the most impressive exclusives and dead stock pair of kicks. This category allows users the option to conveniently access all the latest news and updates easily from within the SKEE app. The good folks over at Skee TV keep the visuals coming. In the clip below watch B-Real have a sit down with Crooked I as the two discuss the differences between battling and creating an original song. Crooked I and B-Real sit down to share their experiences about the politics that typically surround battle rap contests. Also, Crooked revisits his experience of being a judge with Slaughterhouse during a battle rap tour with Red Bull. The two go on to discuss the differences between on the spot battle raps and creating a record in the studio. Skee TV drops the latest visuals from C.O.B. radio with host Crooked I and co-host Somayeh live from the Skee Lodge. Be sure to check out the show every Wednesday from 5-7pm live at Skee247.com or download the convenient mobile application for your phone today. Radio w/ an attitude! C.O.B. radio host Crooked I and co-host Somayeh sat down before Christopher Dorner met his fiery demise to discuss the chaos surrounding his alleged crimes, manifesto, and their personal experiences with law enforcement. With relations already shaky between LAPD and the public, Crooked I and Somayeh take to Skee 24/7 radio to break down police conduct and have a serious discussion with listeners. They close the show with premiering Trae Tha Truth’s newest single “Screwed Up” ft. Future. Former LAPD Officer Christopher Dorner’s remains were recently confirmed and recovered from a burnt down cabin in Big Bear. Los Angeles Police Chief, Charlie Beck, states officials are currently still proceeding with a transparent investigation into Dorner’s firing from the LAPD in 2008.